At Greenlane Penrose Optometry we carefully hand select every frame that we carry in store. We choose the frames we love, not just for great colours and style but also for their quality materials and design. Feel free to call in any time to try our collection. Our eyes are precious and need protection from ultraviolet light to guard against deteriorations such as pterygium, cataract and age related macula degeneration. Wearing sunglasses should be a lifetime habit. All our sunglasses can be fitted with your prescription lenses too. We are happy to advise you on lens types and tints that will suit your lifestyle and prescription. Whether you enjoy golf, boating, cycling, driving or just relaxing in the sun there is a great sunglass option for you. 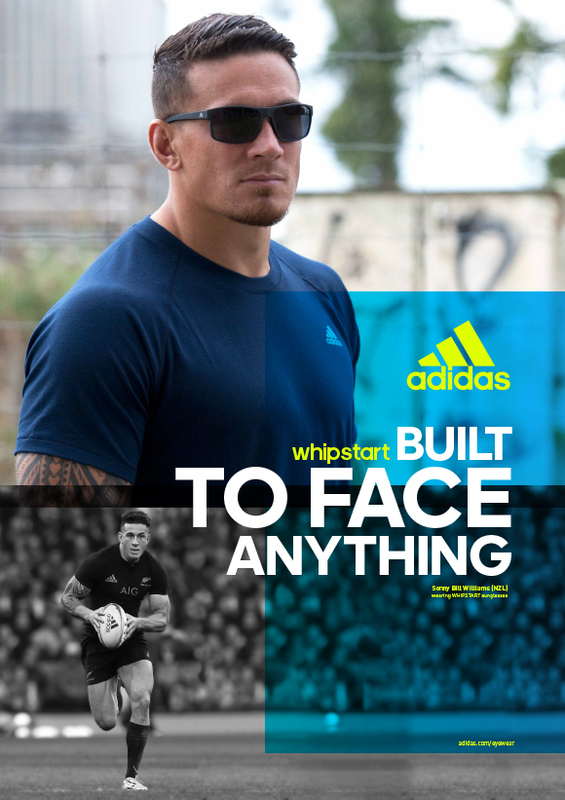 Wide range of kids frames and sunglasses including sports eyewear and swimming goggles. Keep your eyes protected on the job with safety eyewear manufactured to Certified Industrial Safety Standards. All the extras you could need to keep your glasses safe, sparkling clean and in tip top condition. Always put your glasses on and take them off with two hands. This keeps the earpieces straight and in the right alignment. Taking them off one-handed stretches them out and makes them loose. Don’t put your glasses on the top of your head. This can distort the shape, and there’s a greater chance of them falling off and getting damaged that way. Always use a microfibre optical cleaning cloth. To clean them, hold your glasses firmly in one hand. Rinse the glasses with clean water to remove any dust or dirt particles. Take the cloth in your preferred hand and gently rub both sides of each lenses until you can see no smudges. Never use the following to clean your glasses as they can scratch the lenses, Clothing, paper towels, tissues or a dirty microfiber cloth. Wash your microfibre cloth regularly and it will last for a long time. 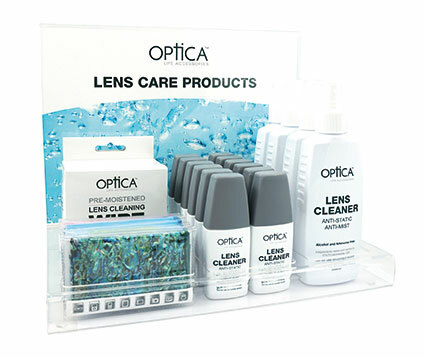 For an even better clean use our Optica lens cleaning spray with you microfibre cloth, Optica impregnated disposable wipes or the revolutionary PEEPS eyewear carbon cleaners. Call in any time for a demonstration of any of these techniques and remember we are happy to give you glasses a professional deep clean in our ultrasonic cleaner any time for FREE! Keeping your frames in perfect adjustment means they will feel and work better for you. Feel free to call in any time you need to and we can adjust your glasses free of charge. It’s a good idea to have them checked for wear and tear, tighten any loose screws and check the fit again. Keep your glasses in a case when you aren’t wearing them. When you take your glasses off, put them in the case to keep them from getting scratched. If you aren’t putting them in a case, please be careful to make sure the lenses are up, away from any surfaces.